Screencap of Jon from the series. The Tales of Super Jon was a series of skits created by TheOnionKing (Jon Jafari, soon to be known as JonTron), back in the late 2000s. This was a vlog-type series where Jon recounts fictional occurrences in a comedic fashion. Following Jon's move to his more popular channel, he privatized all but two of his videos on his old channel (which is to be expected, given his penchant for removing older videos). 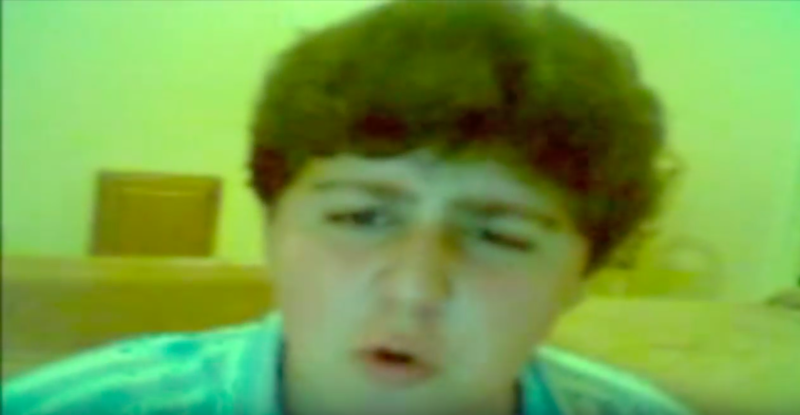 The existence of his Tales of Super Jon videos was confirmed in a video made by The Gamer From Mars uploaded on January 8, 2016. where small clips of it were included, but he didn't reveal how he got them until a year later with the video The Missing Jontron Videos. In it, he revealed that he was one of the earliest members of the NormalBoots forums, and had seen Jon's old videos when they were still posted. They were quickly set to private, but he managed to download two of the three Tales of Super Jon videos. He couldn't download the third video, but managed to recall a fragment of its content: "It had Jon and a friend of his dancing around and lip-syncing a song from what sounded like the 1940s ... and using random objects as musical instruments", he said this was from 6 years ago so, his memory might not be the best. He can't release the 2 remaining videos because, being a public figure, he is afraid of getting into legal trouble. On September 23, 2017, a Vid.me user named "harrisonhopper" uploaded a small clip of one of the episodes. The description reads, "an old clip of the first episode released back in 2009. I have the entire video but can't upload the entire thing unless with permission from Jontron, so here's a 4-second clip of the opening. pretty cool huh?". On September 27, 2017, YouTube user "SexyAbraham" uploaded a clip of the first episode and claims to be real life friends with Vid.me user "harrisonhopper". Sadly because of Vid.me's shutdown in December of 2017, the clip is only available on YouTube. The missing Jontron videos (SuperJon clip starts at 6:46). 'Gamer From Mars video about JonTron; 1:27-2:05 features the videos in question. Another small clip from the series.